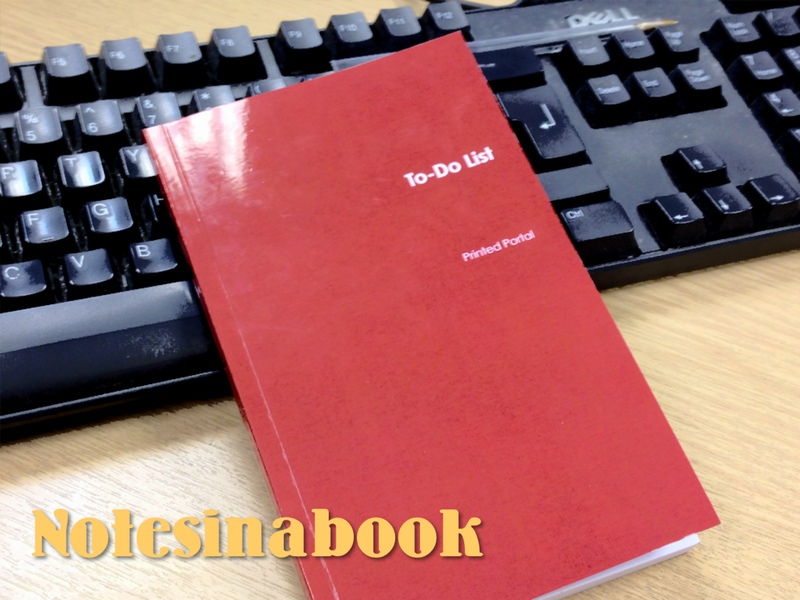 The to-do list notebook from Printed Portal is the latest addition in their organisational notebooks for professionals and the latest addition to my collection of work notebooks. I have started working in a new department at work and I thought that this might be the most appropriate notebook for managing my task list. The work I do is very client based and there are several standard steps that are carried out in relation to each client (the emphasis is on getting it right for the client and not on deadlines and/or efficiency) therefore a client driven task list sounded perfect. The style of this pocket-sized notebook (10.8 x 17.48 ) is in keeping with the rest of the professional range and is deep red in colour. 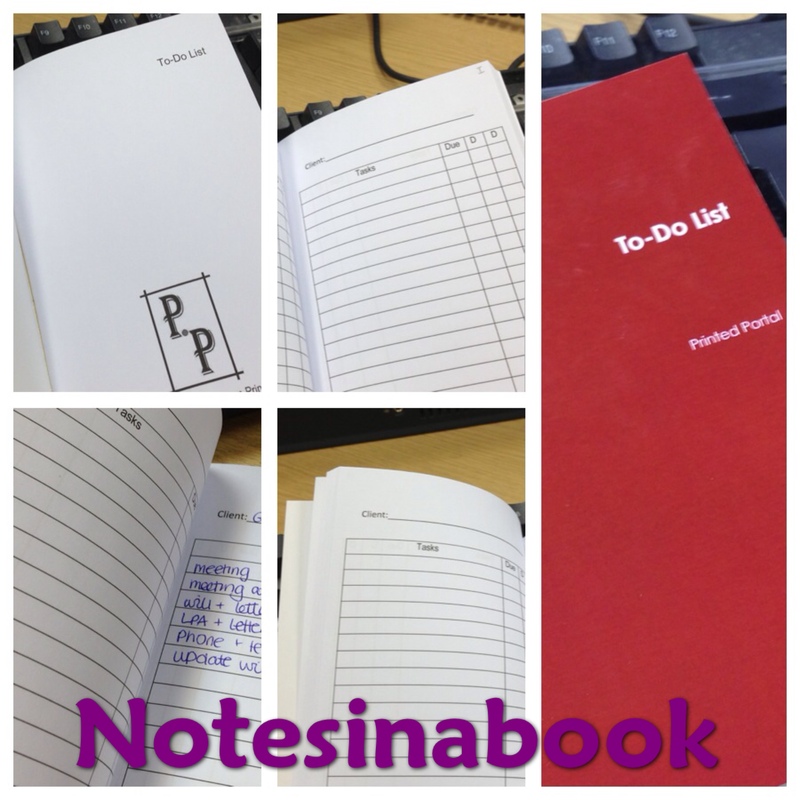 Each of the 120 pages of the notebook is a list for a client and includes space for tasks or items, due date, draft and done. I use these pages by listing the client at the top and then having the list of tasks down the left hand column – this will include things like meetings, attendance notes, letters and documents. Where there is a due date I will fill this in but quite often I do not have a due date and I will put in the date I send something to the client instead. The next two columns are labelled D and D (for draft and done). I tend to do a lot of drafts as well so I will use both of these columns as check boxes and tick them off. We usually have our own checklist procedure at work for checking draft documents so I usually tick the first column when it enters the checklist procedure, then a few days later when I get them back a second tick goes in the done column to show that the document has been finished and sent to the client. Enter the work into the notebook as you receive it – but then it is harder to find the client list when you need it again. Enter in all your clients at once and arrange them as you please – but as a trainee I do not have a set client list. I have gone for alphabetical order. This I did myself by putting a tiny letter in the top right hand corner of each page (4x pages per letter with spare pages at the back). You can easily find the letter you need by using the top corner of the notebook like a flip book. Simple and easy. So far the notebook has worked well and is keeping track of the work I am doing for each client. As always I will review again as time passes.